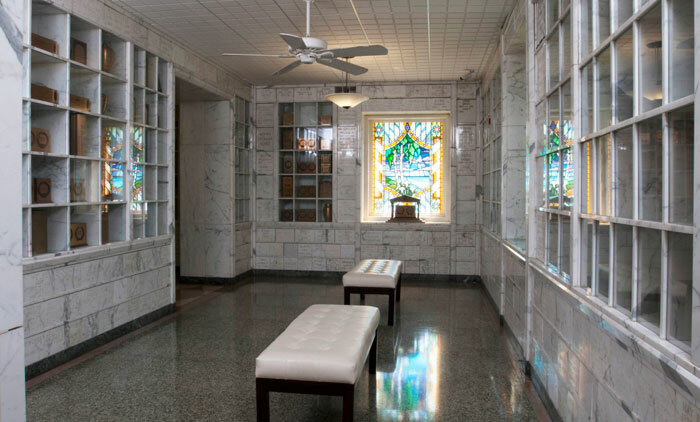 The Indoor Columbarium offers a beautiful, uplifting setting for the inurnment of cremated remains. The niches are made of the finest Italian marble or can be fitted with a glass-front window. Each section of the Columbarium is adorned with distinctive stained glass windows. The Outdoor Columbarium is a beautifully landscaped setting that offers those who choose cremation with an attractive open-air alternative to its indoor counterpart. The Outdoor niches are made of protective, aesthetically pleasing granite.